Official Chaptain Phasma adult costume from Star Wars: The Force Awakens includes deluxe 2-piece mask. 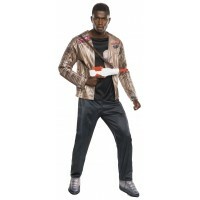 Adult size (unisex) Deluxe Captain Phasma costume includes the padded jumpsuit with printed details and attached boot tops, cape, belt and deluxe 2-piece mask. 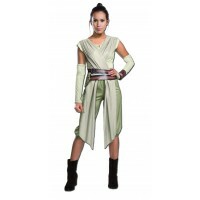 This deluxe version has sturdier fabrics and more detail for those wanting to wear it long after Halloween. 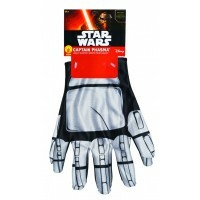 Perfect for your favorite Star Wars fan for Halloween or cosplay. Item Number: M/RB-810670 | Approximate Size (Inches): 10.00 wide x 2.00 deep x 12.00 high | Approximate Shipping Weight: 3.00 lbs. 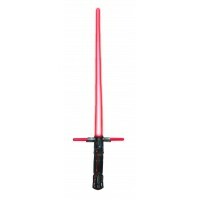 The main blade extends with a flick of the wrist and all blades light up with a push of a ..